The mere mention of Christmas Pudding and one can’t help butthink of the delicacies of Victorian England. 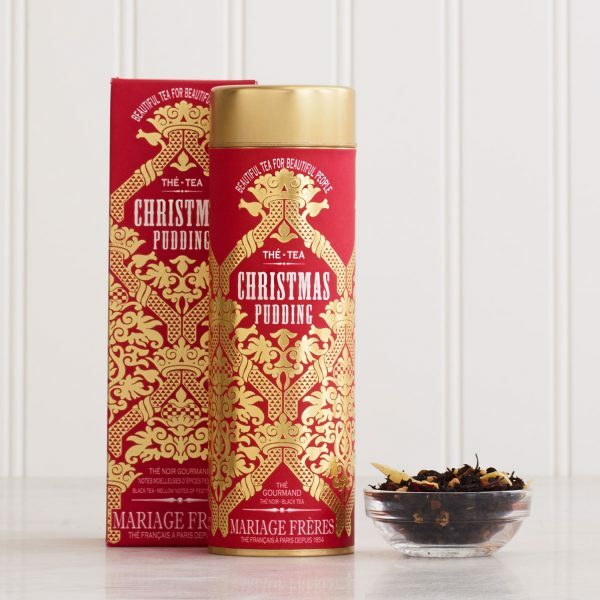 In this spirit Mariage Freres has created the ultimate holiday indulgence, Mariage Freres Christmas Pudding Tea, a black tea for an extraordinary Noel. Warm notes of cinnamon, nutmeg and brown sugar harmonise with raisins, candied orange and cherry, crushed almond, apple morsels and vanilla. As aromatic as it is delicious, this holiday tea is beautiful inside and out and would make a lovely holiday gift this holiday season.